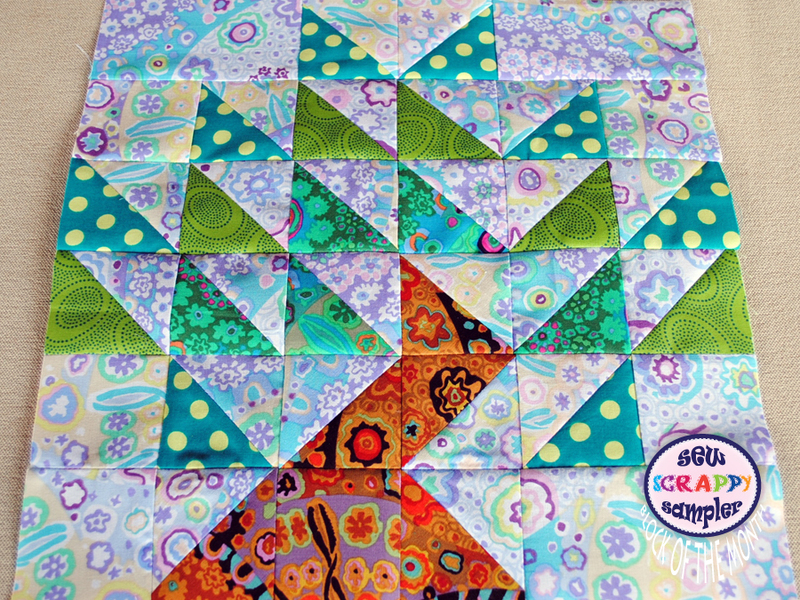 Quilt block # 5 of the Scrappy Sampler is all about half square triangles! ~ This block is made up almost entirely of half square triangles. 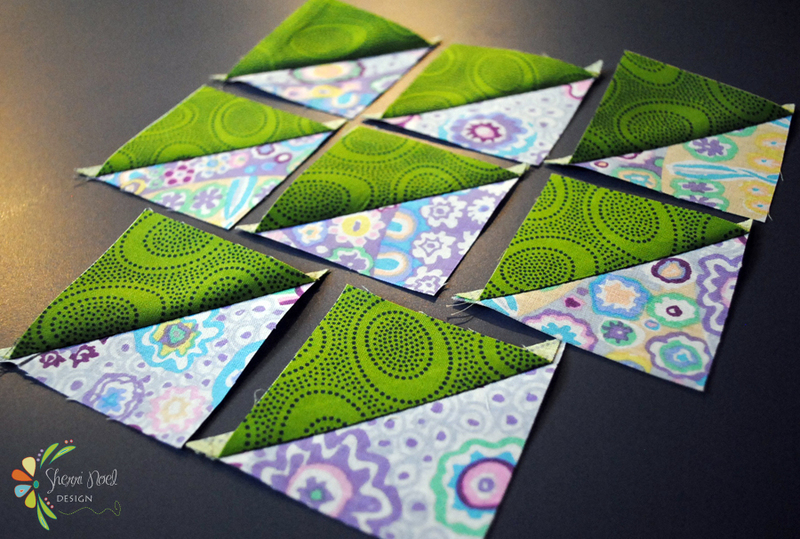 I’m going to show you two methods to make half square triangles for any quilt project! 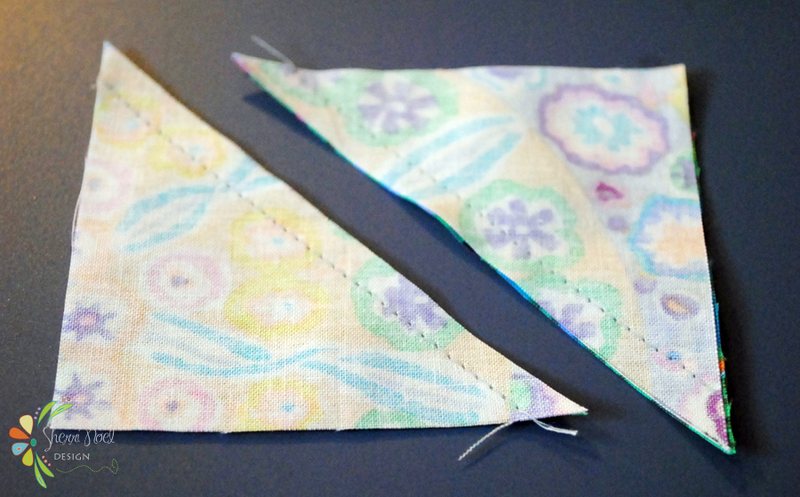 Both methods keep the bias on the diagonal of the block and NOT the edges of your block ~ which is important for keeping your HST blocks straight and your quilt from ‘warping’. 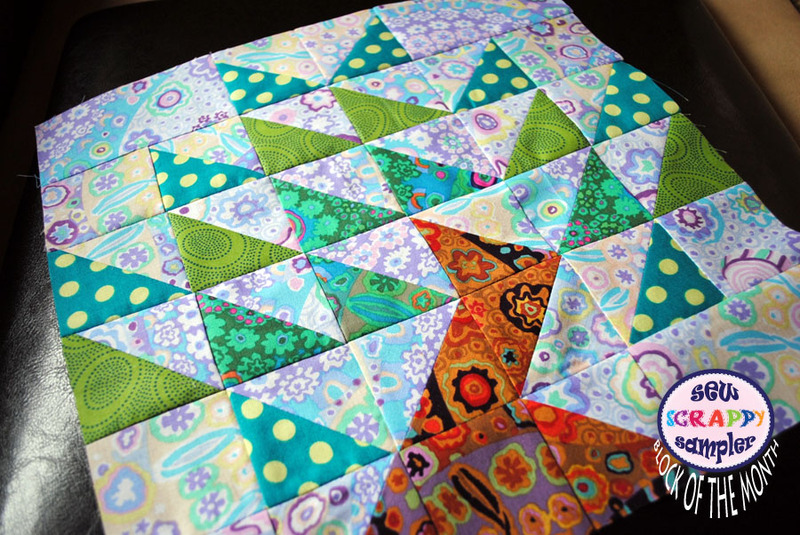 For this method add 7/8″ to the finished size you want your block to be and use that as the size of the two starting blocks. 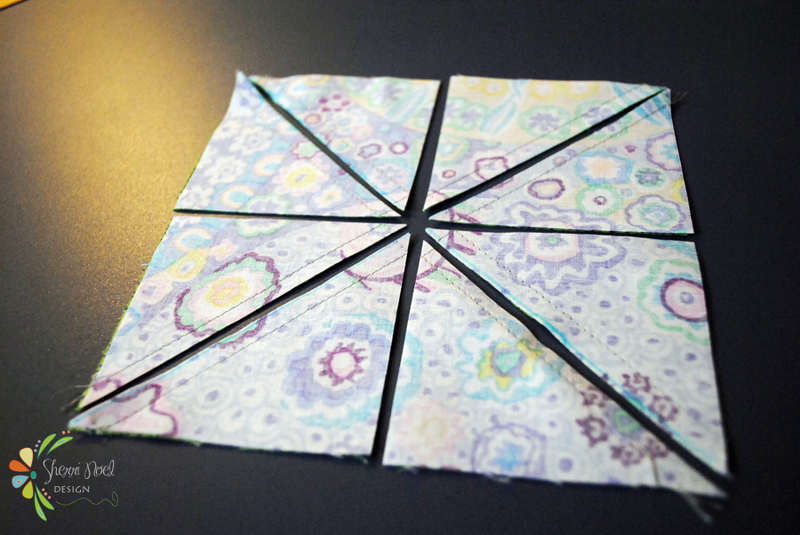 Place two squares right sides together. Draw one line from corner to corner. 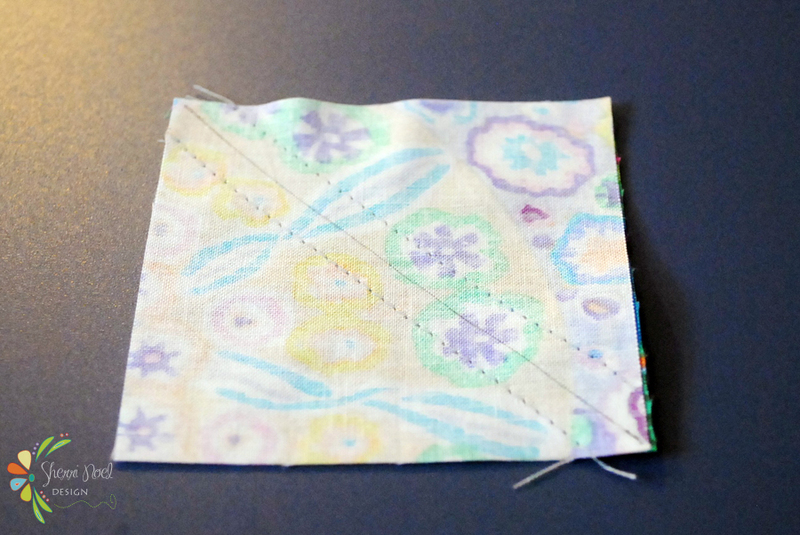 Sew 1/4″ on each side of the drawn line. Open and press for two Half Square Triangles! 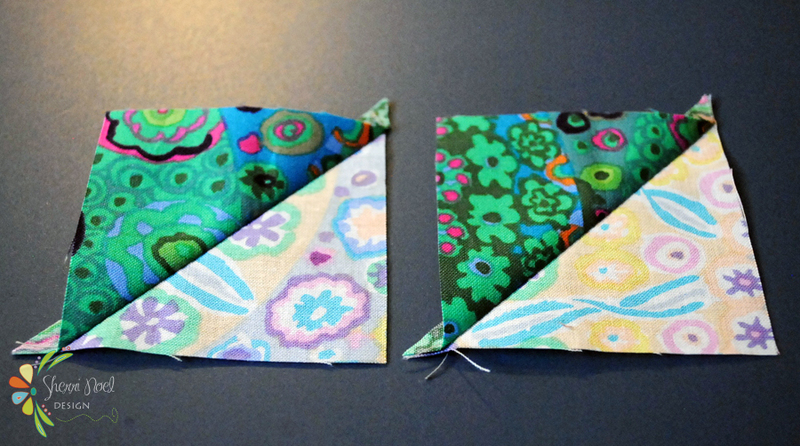 Start with two squares that are 1 3/4″ larger than the finished size times two. Place two squares right sides together. Draw a line from corner to corner on both diagonals. 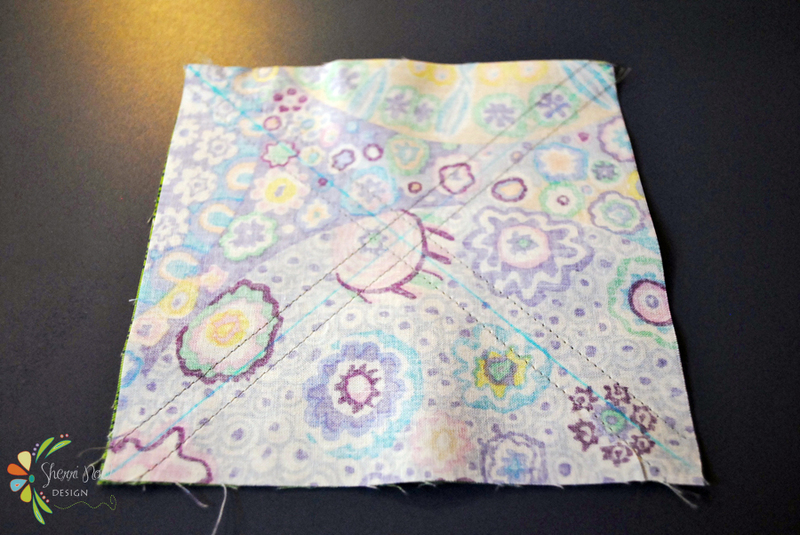 Sew 1/4″ on each side of the two drawn lines. Cut on both drawn lines AND make a horizontal and vertical cut in center of block. 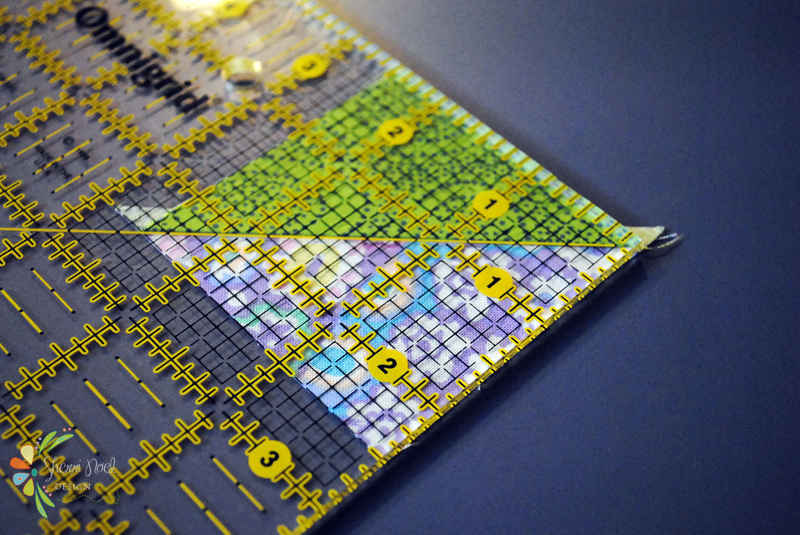 Open the triangles and carefully press… try not to drag your iron across the blocks so they don’t get distorted. 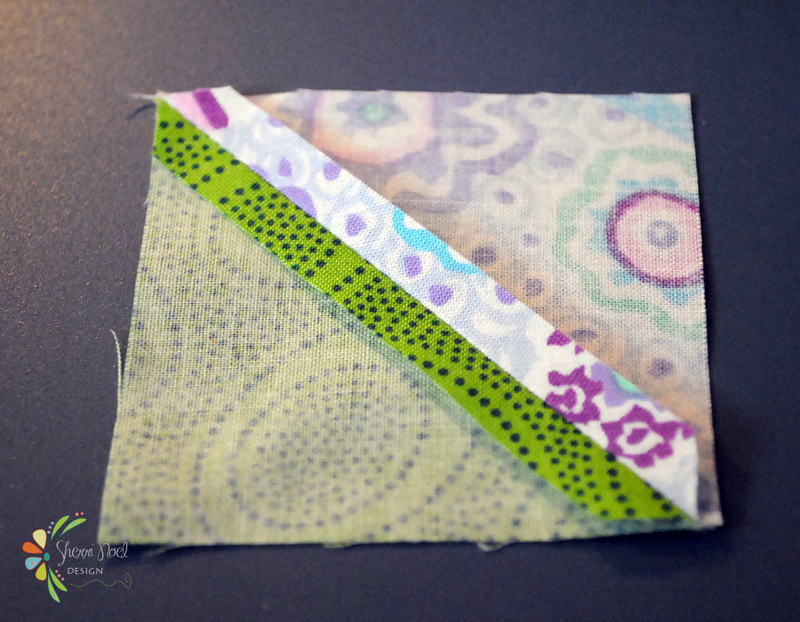 Sew Scrappy Sampler ~ Block 12!!! Sew Scrappy Sampler ~ Finishing! I am Linda Thompson from Southern Kentucky. I was wondering how you pick your fabric combinations. Do you design your own line? If not I just love the bold look without it being to modern. I do not like modern quilts but yours are very acceptable, actually not modern just bold and beautiful. Maybe a tutitorial on how to mix fabrics. I find I do not like to do that part very much because it is quite hard for me but I love piecing the quilts I make and one to another one when finished. Thank you in advance for any pointers on fabric selections and placement.